Marc Williams is an ethnobiologist. He has studied the people, plant, mushroom, microbe interconnection intensively while learning to employ the different kingdoms of biology for food, medicine, and beauty. His training includes a Bachelor’s degree in Environmental Studies concentrating in Sustainable Agriculture with a minor in Business from Warren Wilson College and a Master’s degree in Appalachian Studies concentrating in Sustainable Development with a minor in Geography and Planning from Appalachian State University. He has spent over a 15 years working at a multitude of restaurants and various farms. His travels include adventures through 24 countries in North/Central America and Europe and all 50 of the United States. Marc has visited over 100 botanical gardens and research institutions during this process while taking thousands of pictures of representative plants. He is also Executive Director of Plants and Healers International www.plantsandhealers.org and on the Board of Directors of the Appalachian Institute for Mountain Studies. 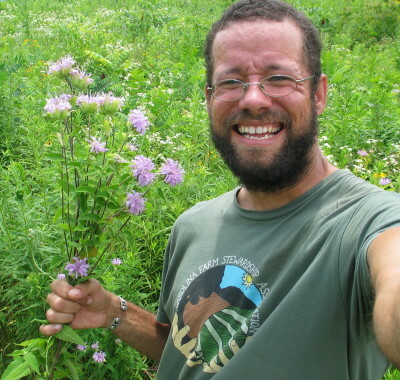 He has taught hundreds of classes about the marvelous world of plants, people and their interface while working with over 60 organizations in the last few years and online at the website www.botanyeveryday.com. Marc‘s greatest hope is that his efforts may help improve our current challenging global ecological situation. Marc is a former resident of Florida and travels regularly to Florida to teach. Spend a class learning about trees and shrubs. We will go for a plant walk to learn how to identify a woody plant by the leaves, bark and other characteristics. Common and obscure uses for woody plants of the Floridian flora that may support overall health, well-being and sustenance will also be discussed. Florida is home to over 4,200 species of plants. Many of them are beautiful but deadly if ingested. We will explore through a Powerpoint presentation and selected live material what plants to look out for specifically and what patterns to pay attention to even if you don’t know a plant’s certain identity. We will also discuss how some plants that are very toxic are used in crafts and jewelry. Plants that can cause rashes and other discomforts more mild than death will also be covered. This is an important class for anyone who loves to explore nature and especially for those who have small children. Our botany intensive will focus on the families of plants found commonly in Florida. We will cover the differences in how plants look regarding leaves, flowers, fruits and other parts and how this may help in proper identification. The way plants are classified based on these features and more recently DNA will be discussed relative to how they are referred to scientifically. We will also look at the best book and web resources for the exploration of botany on the peninsula. The class will feature a powerpoint covering the major characteristics of botany in general and then we will examine various forms of plant material to further emphasize the lessons learned. Plant family patterns can greatly aid in demystifying the “green wall” of species around us. Florida is home to over 4,200 species of vascular plants. These species have been grouped into around 1,400 genera and 243 plant families. You will know something significant about the majority of plants that you see you learn the most prevalent and important 30 families around you. It is often possible to guess whether a plant is edible, medicinal, or poisonous simply by the family it occupies. However, some exceptions are important to know as well. We will engage in a walk and talk around the school grounds where we will delve into the major plant families of the Southern USA. Students will reinforce plant identification skills by observing family patterns such as leaf, flower and fruit types. Uses including edibility, medicinality, craft, wildlife promotion and landscape beauty will be discussed. Participants will gain a more holistic understanding of the major plants comprising the Southern US flora and their potential ecological and ethnobotanical applications through the lens of various groups who have occupied the state.